There is a nice video from the roll-out on Zvezda. 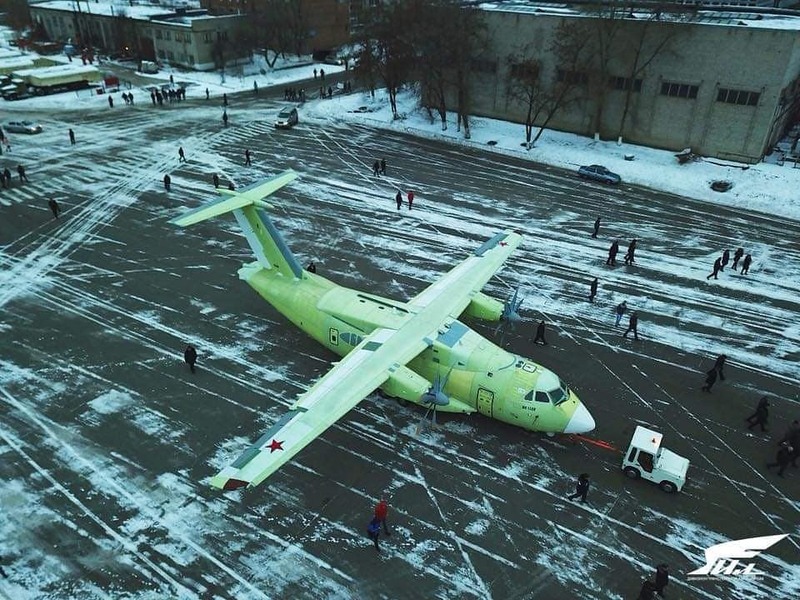 "On November 27, 2018, the procedure of delivering the first Il-112V prototype to the flight testing station was held at the Voronezh Aircraft Enterprise (part of the United Aircraft Corporation’s Transport Aviation Division)," the press office said. 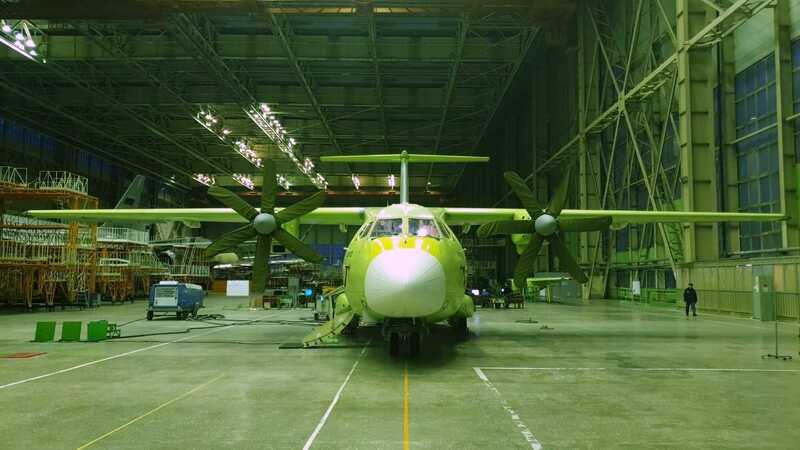 At the flight testing station, specialists of the Ilyushin Aircraft Company will carry out the entire range of the plane’s aerodrome tests, the press office said. 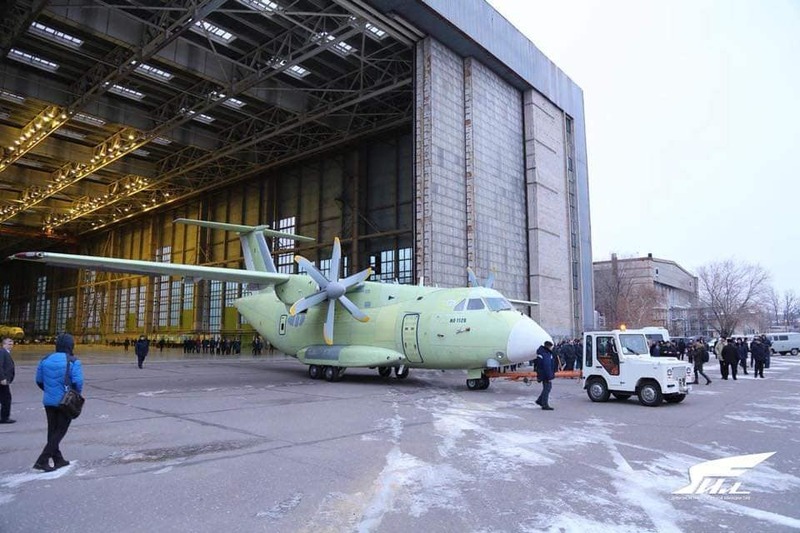 "Following their results, a conclusion will be made on the Il-112V’s readiness for its debut flight," the press office said. Is this project a disaster or not? The comments (Yandex translator) on bmpd by native Russian people are overwelmingly positive. xeno wrote: Is this project a disaster or not? google translate wrote: - And how can you comment on the conversations that the Ministry of Defense refused the aircraft due to the inconsistency of the characteristics of the approved TK? - This year, a serious question was raised that the aircraft did not meet the tactical and technical requirements - in particular, transportation of five tons to a range of 1200 kilometers to a third-class airfield. The third class is rather short lanes of 1500–1800 meters. Yes, we overloaded the plane. In many ways, therefore, missed the problem of weight. This issue was considered both with the military and at the level of the Deputy Prime Minister of the Government of Russia. Approved a comprehensive plan to reduce the mass of the aircraft. - And he will not fall apart? - No, of course (laughs). We change the secondary structures that do not affect the strength, we do the redesign, we introduce composite materials. The power structure does not touch. And we fulfill all three basic parameters - range, carrying capacity and aerodrome category. Only the very first car, the “unit”, will remain in an increased weight category. So prototype is indeed overweight but sounds like they've already done re-design work (presumably why its been delayed?) for subseqent airframes. It´s only overweigth with current engine. New engine will solve all the problems. Hole wrote: It´s only overweigth with current engine. New engine will solve all the problems. New engines always seem to be 10 years away. Russia can never seem to get them done. Just iterative improvements on Soviet-era models. Well the Lead Designer says they fucked up the structure & have fixes for 2nd prototype, doesn't blame the engines at all which would be the easier way out if there was any truth to it. As far as I can find the 1st prototype already has the new 3500hp TV7-11ST engines anyway. TV7-117ST is rated for 3.000 PS for take-off and 3.600 PS in an emergency. Alexander Vatagin, the head of Klimov is quoted that they should have gone to 4.000 PS from the beginning. PD-14 is ready now. Will be the start of a whole familiy of engines. Even the US can't snap their fingers and develop a brand new engine on demand... aircraft or rocket engine. The fact of the matter most countries have designers that could design modern aircraft, but only a handful of countries could develop and produce a decent aircraft engine.... and most of them don't. Considering importing components has become more and more of a problem it becomes more and more difficult to source parts that are up to standard. Unification and standardisation of design and components could help... making an engine that is also a helo engine and also a power generation engine for a land station as well as a marinised engine for shipping makes things easier and cheaper to deploy widely but you need aircraft and ships and users in the right size range to require that particular engine rating. it is the engines in certain power ranges that are the problem because in Soviet times they weren't made in Russian factories... some were made in Motor Sich, while others were made even further afield. When the Soviet Union split up, Russia had the immediate problem that its Jet trainers were not Russian, and its Mi-2 light helos were not Russian either, and many of the weapons and aircraft and components were also foreign... including the Utes HMG, various marine gas turbines, parts from ICBMs etc etc. Over time they have developed domestic models to replace the former foreign parts and eventually they will complete this task but it can't happen over night. For the first few Il-112s they might have reduced power engines that reduces performance but when new engines are ready having 50 aircraft in service that can be improved by replacing those engines means getting the aircraft into service faster and eventually getting the performance you want... it wont matter than some are under powered initially as long as this is allowed for in the operational use of the aircraft. It can’t be allowed to be dragged for many years either (20-30+ years), they need to hurry up. 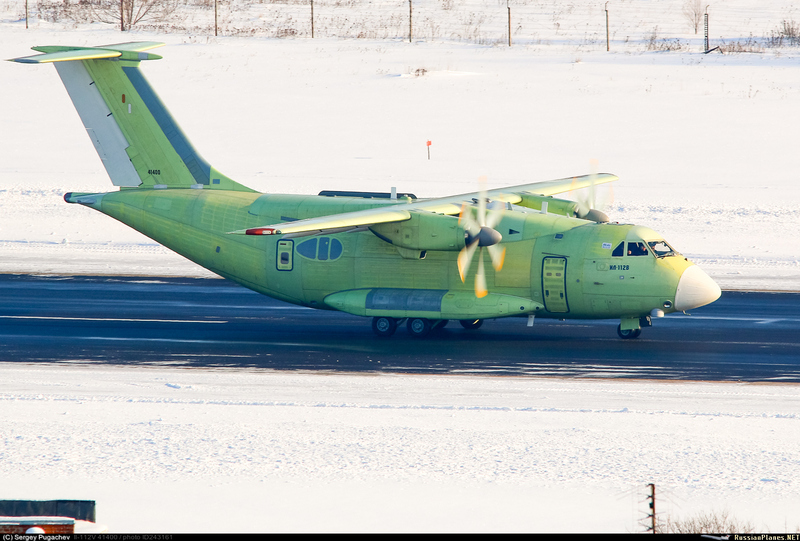 Bastion-Karpenko reports 2nd prototype 112V is on the way to TsAGI for static & fatigue testing. According to above interview 2nd is supposed to have weight fixes but that seems perhaps unlikely coming so soon after the 1st? On the other hand the 1st was significantly delayed & a static test item doesn't need as much finishing. The plane's too small to be a transporter. But could be a useful platform for a carrier based small AWAC like E-2. Sometimes a 5 ton payload is plenty... especially when being distributed to smaller outlying airfields. 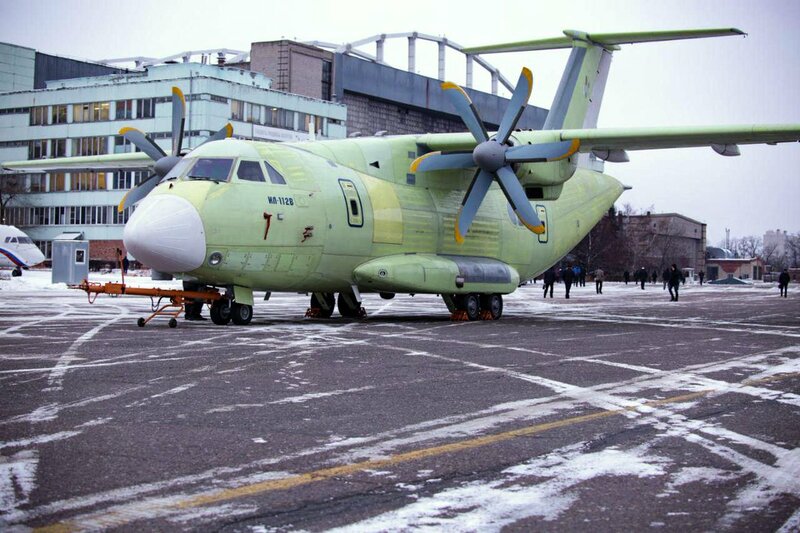 They already use a large number of An-24/26/32 and An-72 aircraft types with payloads of 5-6 tons, so these aircraft will replace them in service. Russian Deputy Minister of Defense Alexey Krivoruchko told reporters on Saturday during a visit to the Voronezh Aircraft Building Company (VASO). "Of course, this plane is needed by the troops. In the near future, equipment of this class will be decommissioned due to the expiration of the resource. Therefore, we are waiting for this aircraft. I hope there will be the first flight in a month," said Krivoruchko. In the future, the Ministry of Defense will purchase two more transporters for testing. "We decided to wait for the first flight of this machine, and after that we will already discuss the contract for the first two cars, which will also be connected to the tests," the deputy minister said. The deputy head of the military department expressed confidence that the issue of the timing of the creation of a new aircraft will be resolved, despite a number of serious problems. “This work is not easy, there are a number of problems, serious problems. At the same time, there is an understanding that all this can be solved, and I hope Ilyushin will cope with these works,” Krivoruchko stressed. According to him, serial deliveries will begin only after all the requirements of the Ministry of Defense are met. 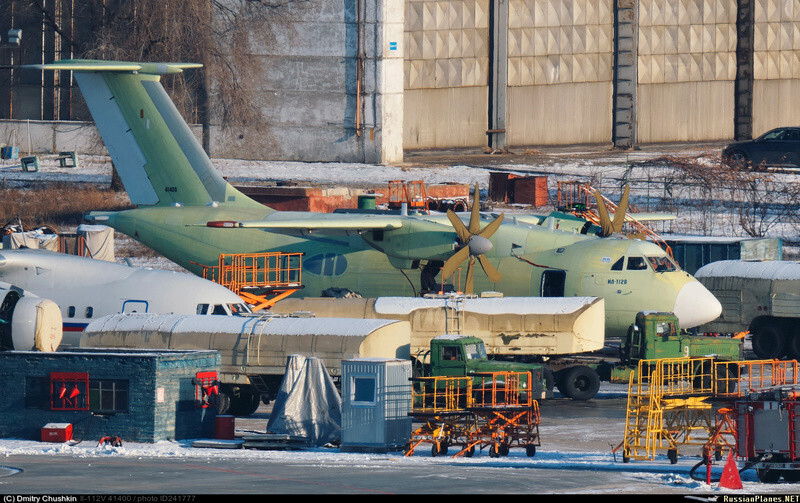 Russian DMOD Krivoruchko says first flight of small Il-112V transport to occur before February 2019. Any ideas what the grey egg shaped area on the fuselage is for? Grey implies composite or antenna cover for EW/ECM but I can't see why there would be such a big area flush with the fuselage side on a fairly small transport. Could actually be preparation for observation domes on a future MPA variant? Taxi trials.."First flight before February"..